The 2019 Kia Niro and Honda HR-V lend a sporty, fun flair to your daily drive. If you’re interested in either, it means you’re looking for more than the standard crossover–you’re looking for something a little bit unique. So, what then is the difference between these two subcompact crossovers? It turns out that, personality-wise, the Niro and the HR-V are very different. But don’t worry – our comparison guide will help you make the right choice for your daily drive. Comfort is an inescapable aspect of your daily drive, a fact that Kia seems to fully understand. 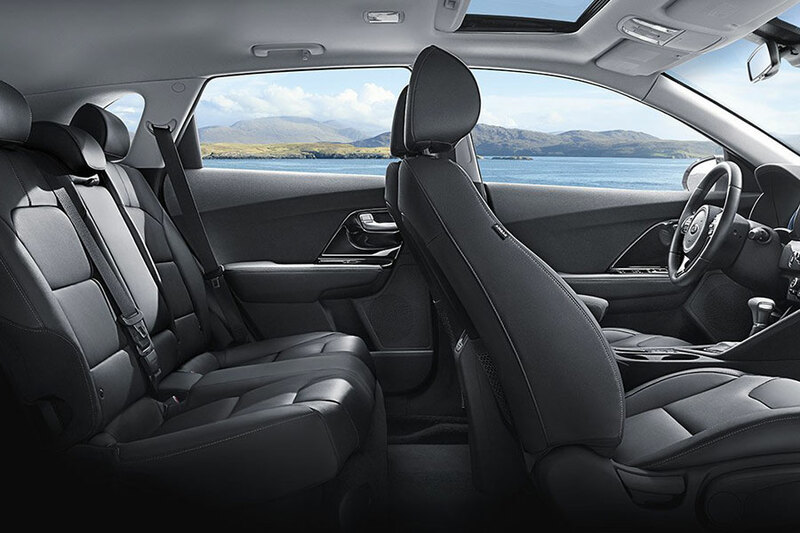 With its supportive seats and a ride that smooths out road imperfections, the Niro is the total package. As you climb the trims, classy extras like heated and ventilated seats increase comfort and wage war on bad weather. On the flip side, the Honda HR-V gives you one of the comfiest rides in the segment. You won’t feel a thing, even if the road you’re travelling could use a makeover. However, seating comfort offers room for improvement. The HR-V’s front seats are on the narrow side, which may alienate some drivers. Taller drivers, too, may wish for extra seating adjustments and more accommodating leg room. 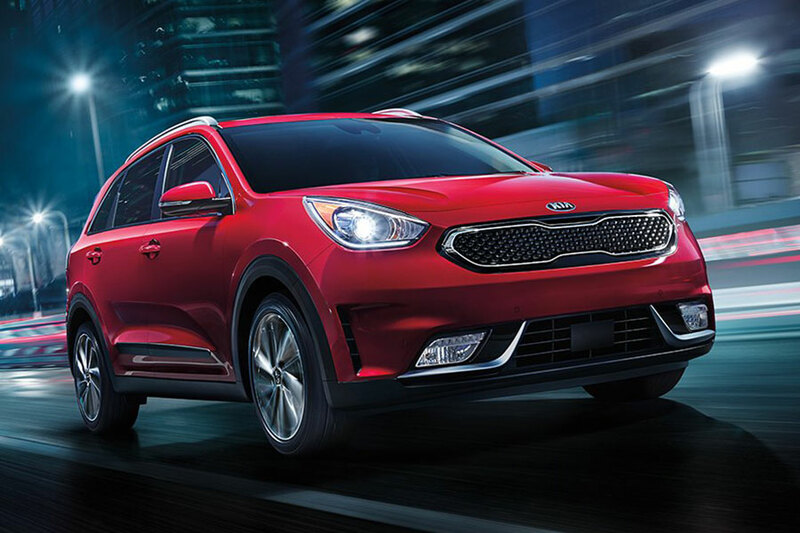 Outside, the 2019 Kia Niro might be a sporty crossover, but, inside, its hybrid powertrain makes it a commuter’s best friend. Every Niro trim is an expert at conserving fuel, but the base model, the Niro FE, is the most talented. It earns 52 city/49 highway mpg. The Honda HR-V is more of a sports enthusiast, with quick acceleration and sharp steering, so it doesn’t save your wallet in the same way. The HR-V’s most conservative EPA ratings will get you 28 city/34 highway mpg. In terms of bang for buck, the 2019 Kia Niro is the clear winner. The entry-level Niro FE delivers a seriously well-rounded standard lineup. 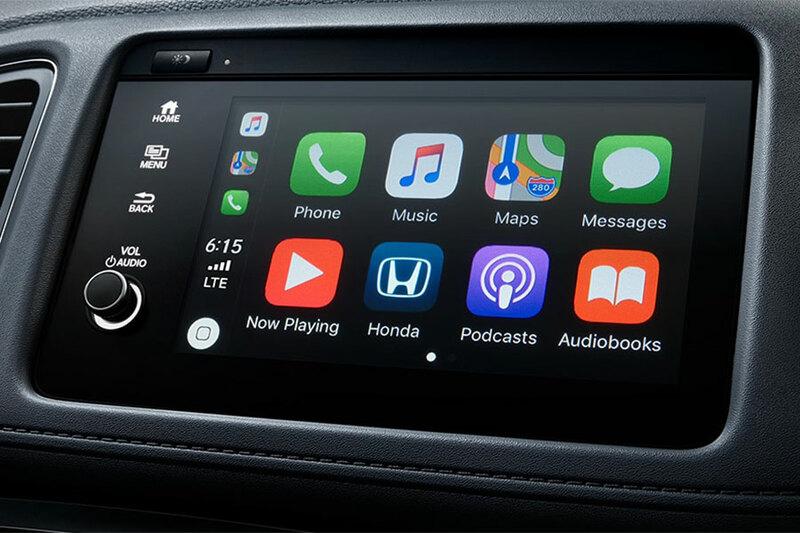 Use Apple CarPlay and Android Auto integration features to use your smartphone without lifting a finger. Conserve fuel or maximize speed with the Niro’s selectable drive modes. Shift the six-way adjustable front seats around for the perfect spot at the wheel. Create two perfect atmospheres with dual-zone automatic climate control. With all of that available at no extra cost, i’s conceivable that many Niro shoppers won’t feel any need whatsoever to drop more money on higher trim models. If you’re dead set on the 2019 Honda HR-V, you’ll likely find yourself drawn to the mid-grade Sport trim and higher. That’s because the standard lineup doesn’t include the kind of smartphone integration features that keep you focused on the road ahead. Indeed, the HR-V Sport lineup looks a lot like the base Niro, with its 7-inch infotainment touchscreen display and Apple CarPlay/Android Auto capabilities. You have to climb even higher – to the HR-V EX – to enjoy automatic climate controls. 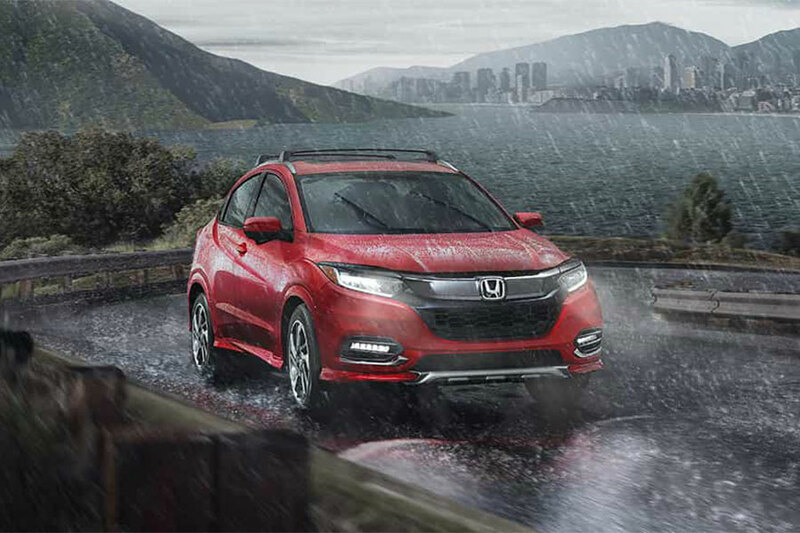 Drivers who love the sporting life will prefer the HR-V. With Honda’s subcompact crossover, shoppers can actually add all-wheel-drive performance gear and use the added traction to travel down light off-road trails. Compared to the Niro, the HR-V actually supplies an extra inch of ground clearance in an effort to keep you from scraping the undercarriage in the brush. Crossover utility isn’t completely lost on the Niro. For example, roof rails mean that you can load up sports gear and live your best active lifestyle. Unfortunately, though, the thrifty Kia Niro has yet to offer all-wheel drive. 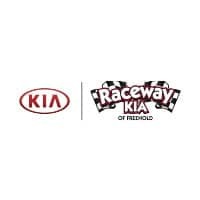 In the end, our money is on the 2019 Kia Niro–not just because the Niro’s excellent mileage actually helps us save money. The cabin speaks to us with its roomy, road-trip-ready seats. This subcompact crossover also comes fully loaded with the features you need on the modern roadways, from smartphone integration to dual-zone automatic climate control. The Niro is the total modern SUV package.